* Keep in mind that you are building a relationship at the same time that you are teaching him one of his first lessons. and other times confusingly angry. in whatever your climate can dish up and at all times of day or night. * Don't take him back in the house the very moment he has done his stuff. and this is not an idea you want him to come up with! * When he does pee or poop where you don't want him to, quietly clean it up in a matter-of-fact way. This isn't a time to talk either loving or annoyed talk to him; essentially ignore him while you do the cleanup. Certainly never yell or physically punish him in any way. * Only feed him and give him water when you can take him outside right away. are training, this limitation will speed up the potty training process for your dog. Remember that the duration of potty training process for every dog differs. So, you should be considerate and patient if your dog doesn't get it immediately. Just continue to be patient, consistent and most importantly NEVER GIVE UP! Potty training may be hard or difficult but it's NOT IMPOSSIBLE. Depending on who you talk to this can be a very passionate subject. 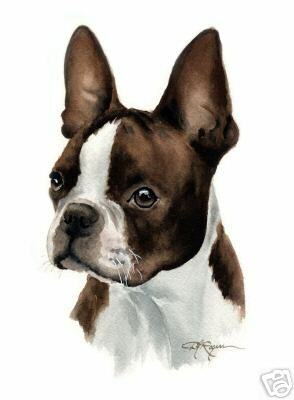 as set forth by the Boston Terrier Club of America. contributes to the confusion even though it doesn't meet the breed standard for color according to the BTCA..
for color. but they can compete in Agility and Flyball. 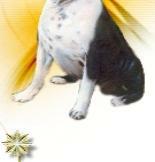 I spoke to the color specialist at AKC and was advised on the procedure to register a colored boston. in with photos, they would register the dog with a color name, ie, Cinnamon, Ginger, etc. specifically for color but occasionally am blessed with beautiful red pups.